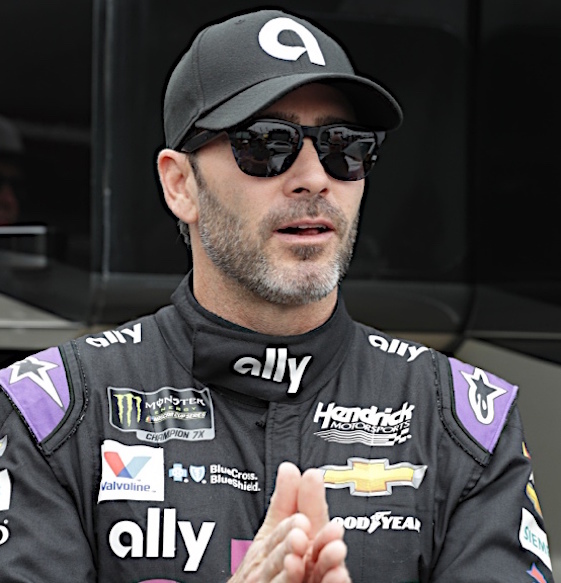 FORT WORTH, Texas – Seven-time Monster Energy NASCAR Cup Series champion Jimmie Johnson returned to form Friday evening at Texas Motor Speedway, qualifying on-pole for Sunday’s 23rd annual O’Reilly Auto Parts 500. Johnson toured TMS’ high-banked/1.5-mile oval in 28.588-seconds at 188.890 mph in his No. 48 Ally Chevrolet Camaro ZL1, completing an impressive sweep of all three sessions. Johnson will be joined in the two-car front row by Hendrick Motorsport teammate William Byron in the No. 24 Axalta/Primeline Chevy after his lap of 188.416 mph. In addition, Hendrick’s Chase Elliott will start third after lapping at 188.271 mph in the No. 9 Kelley Blue Book Camaro. Sunday’s race, scheduled for 334 laps/501 miles, will get the green flag at 2 p.m. (CDT) with FOX Sports 1 beginning its coverage at 1:30 p.m. Radio coverage will be provided by MRN and SiriusXM NASCAR Radio. Kyle Busch, driver of the No. 18 Interstate Batteries Toyota Camry fielded by Joe Gibbs Racing, is the defending event winner. Busch will start 18th in the 39-car field. Johnson limped into Texas after finishing two laps off of Keselowski’s winning pace in the No. 2 Ford Mustang fielded by Penske Racing around Martinsville Speedway’s half-mile oval last Sunday. Johnson’s stellar performance capped another convoluted group qualifying session, which saw most drivers choosing to remain parked on pit road until the waning moments for a one- or two-lap flyer. NASCAR sought to address that situation with a rules change earlier this week, one that might require another revision or stricter enforcement. Johnson’s Round 3 hot lap knocked Suarez of Stewart-Hass Racing off the provisional pole in the closing seconds after his lap of 187.881 mph in the No. 41 Ruckus Ford Mustang. Ironically, Suarez had put down a lap of 187.871 mph around a clear track to put the No. 41 on the provisional pole in Round 2. With approximately 1:16 remaining in the 10-minute session, the field exited pit road en masse with Johnson moving to the top of the chart at 187.956 mph. Alex Bowman, Johnson’s Hendrick teammate, saw his session end at the opposite end of the grid. Bowman brought out a caution and a short red flag stoppage when he slid high and banged the Turn 2 wall with the right rear quarter-panel of the No. 88 Lluma Camaro. Bowman headed to the garage area, where his crew was in the process of rolling out his backup Chevy.